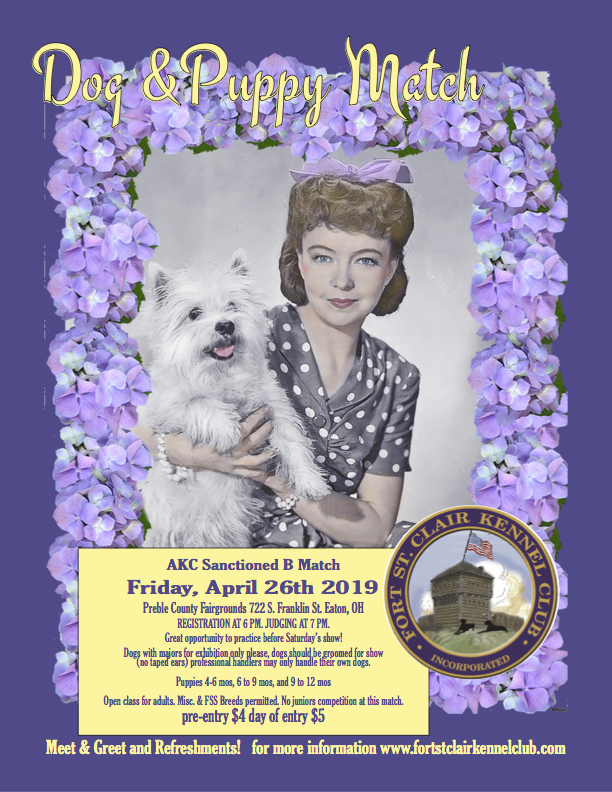 Join us on Friday night, April 26th for our AKC Sanctioned B Match! Registration starts at 5 p.m. and judging at 6 p.m.
Everyone welcome! We’ll have beverages and snacks and time to socialize too. This is a great opportunity to get a little practice with your dog before the weekend’s shows– in the rings that you’ll be showing in over the weekend. And if you’re not entered in the show, you can still enter the match. This is the entry form for the 2019 match. Click on the image to make it larger. When you go to print, make sure your printer is set to horizontal (“landscape”) . Pre-entries must be postmarked by Monday, April 22rd, and cost $4. If you wait until the day of the match to enter, entry fee is $5. Send pre-entries to match secretary Gary Sinck, 725 Xenia Ave, Dayton, OH 45410. Dogs must be in show trim, no taped ears please, and professional handlers may only show their own dogs. Dogs with majors may only be shown as exhibition. Class divisions are 4-6 months, 6-9 months, 9-12 months and adult. We will award Best Puppy in Match and Best Dog in Match. 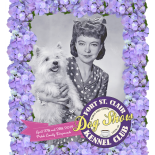 This entry was posted on April 5, 2019 by fortstclairkennelclub in American Kennel Club, Dog Shows, Dog Training, Fort St. Clair Kennel Club, Purebred Dogs and tagged dog show, Eaton dog show, Fort St. Clair Kennel Club, puppy match, puppy match near me, where can I find a puppy match near Dayton.